Happy Spring everyone! It seemed that spring had arrived about three weeks early in Madrid: people out on the terraces with tapas and wine, picnics strewn across the parks, even shorts and sandals seemed acceptable! Then I went to Morocco for the weekend and when I came back, it was gone. "Hasta el cuarenta de mayo no te quites el sayo"
Don't take off your coat until the 40th of May. Well, obviously there is no 40th of May, buy sayo doesn't sound as well with Junio (June), so the 40th of May = June 10th. But I hope this saying is as true as the Spainish's exaggerated description of Madrid's "arctic" winter. I've got some exciting travel plans coming up with a few important visitors arriving soon. I know we're all hoping for some sun! Along with exciting upcoming travels, I also have some exciting news! 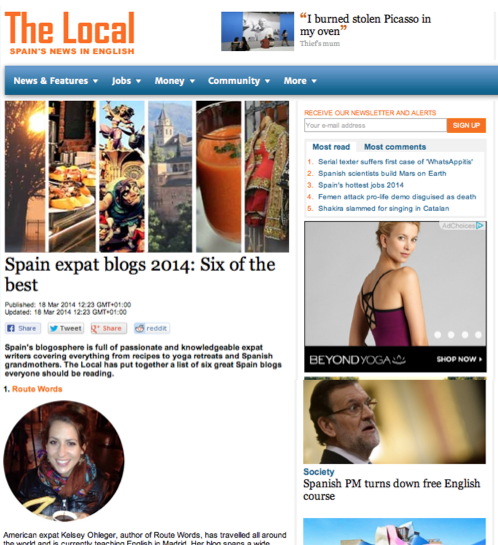 I was featured on The Local for one of the six best expat blogs in Spain! I am thrilled to have been featured on Spain's section of the largest English-language news network in Europe. Also, check out the other five blogs for great information about different Spanish regions. As much as I love receiving postcards, I am terrible at sending them. I hate finding the correct stamp, writing cheesy words about the historical picture, locating a post office and also collecting addresses. It's just not my thing. 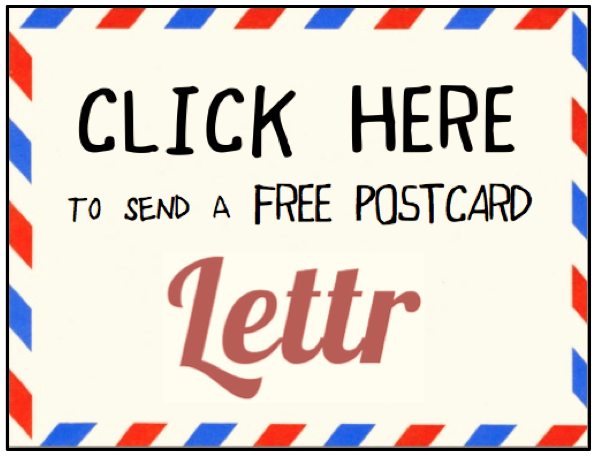 So I was obviously intrigued when Lettr recently contacted me to sample and review their virtual postcard service. Lettr allows travelers to send a personalized postcard from any place in the world without a pen, stamp or even postcard - it is all done through a smartphone, tablet or laptop. You take a picture of an awesome travel moment (or select a previous one), upload it onto the site, write a short message, sign your name through the touchscreen or trackpad, and send! Lettr then prints and sends your card for a flat rate of $2.49. 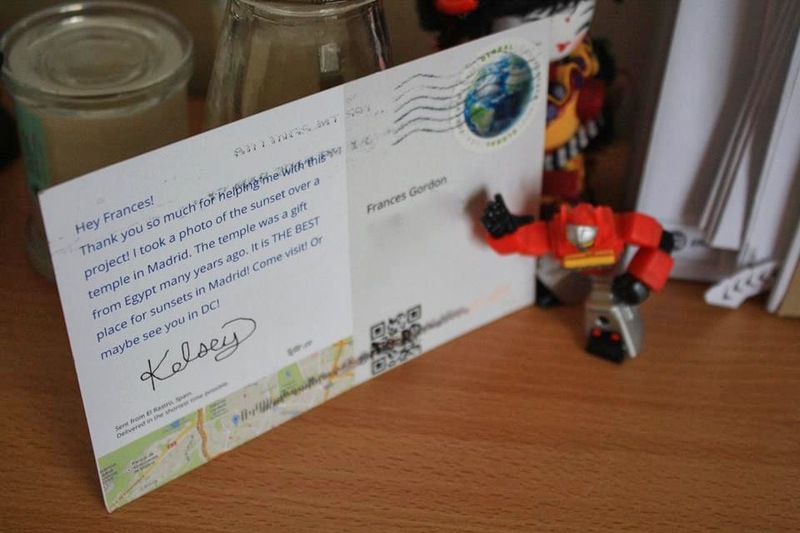 After delivery, your friend can also see exactly where the postcard was sent through a small map. Pretty cool and simple, right? I decided to really test their services by sending a card to a far away place. 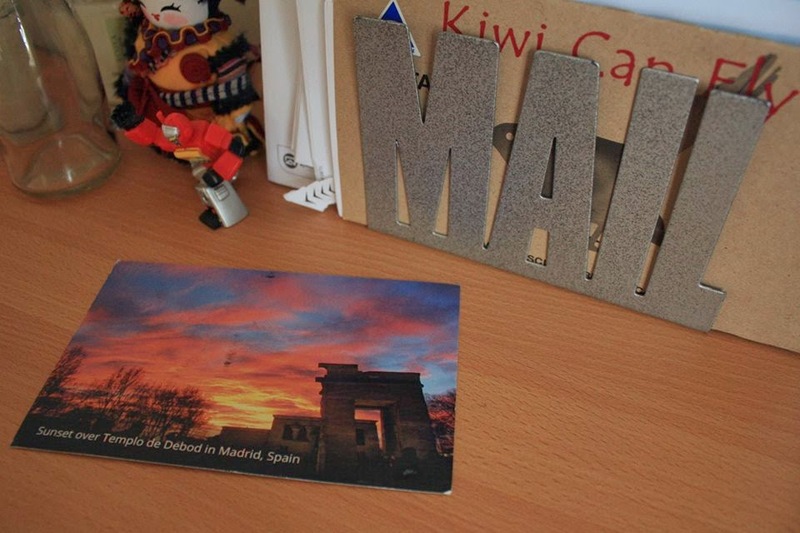 So I sent a picture of Templo de Debod in Madrid to my Kiwi friend Frances in Auckland. I met met Frances during my time in New Zealand. She is a fellow travel addict and also a very talented writer preparing for a move to The States! Check out her website and creative photos on instagram. I could use my own photo (or a photo of me) which is so much more personal than a store-bought card. 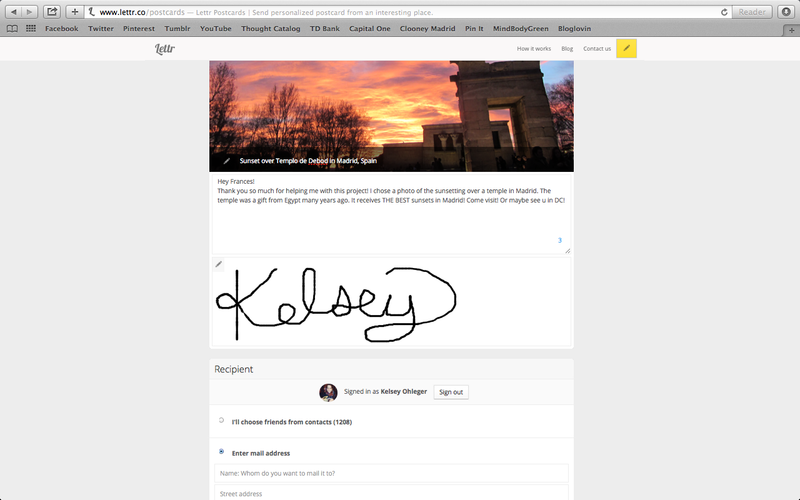 If you sign in with Facebook, you can send a postcard to any friend whether you know their address or not. Lettr will give them up to 14 days to enter an address and you can surprise your friends with some mail. If they don't enter an address in those two weeks, you will not be charged. You can only write a message of 250 characters - not much at all! Overall, do I recommend using Lettr? Absolutely! The price, personalization and convenience make it a great service for travelers. And luckily, I am giving YOU the opportunity to test it out as well! get to send their postcard FOR FREE! If you are one the lucky 25... who are you sending your postcard to and what's the picture? In general, what is your take on sending postcards? Love it or hate it? Please share with a comment below! Yay! I was one of the lucky twenty-fivers who gets to try out Lettr. I sent a friend from home a postcard with a pic of my hike to San Juan de Gaztelugatxe (the first pic here: http://geecassandra.com/hiking-to-san-juan-de-gaztelugatxe-and-a-new-favorite-rock/). Let's see how long it takes to get to the states! I also want the warm weather to come back--early March was such a tease.